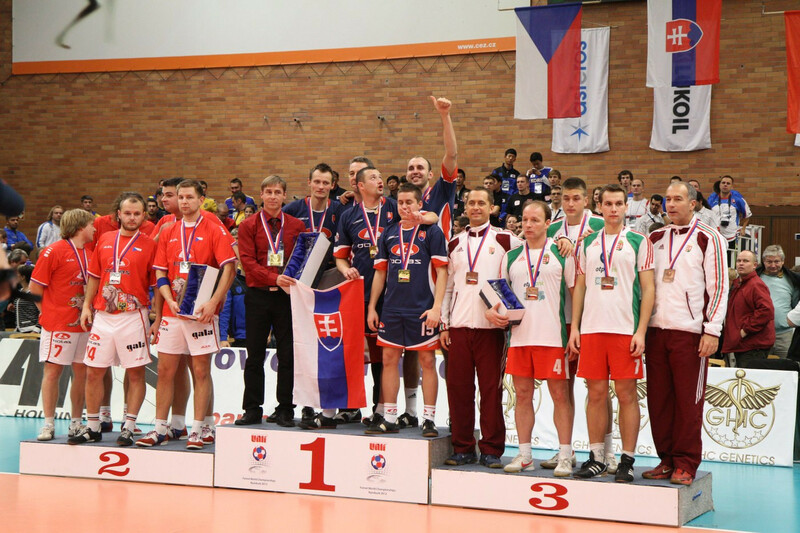 On December 9th 2012 in Nymburk, the program of UNIF Futnet World Championships culminated. The Czech Republic was competing in all disciplines for precious metals. Singles were the first to start the fight for the medal. The Czech representative Milan Hron won the bronze medal due to his gorgeous performance against the French representative Jeremy Caramello. The Slovak representative Marek Ižol fought for the most precious metal against the Hungarian Istvan Pozderka, a novice in the world championships. Ižol didn’t hesitate and won the first title of World Champion for Slovakia. “I’m very happy because it is the first time I won the World Championship title in single discipline,” revealed Ižol his impressions after the match. The match of doubles for the bronze was won by the Hungarian team who beat their opponents from South Korea. The Czech and Slovak teams met in the final match. The match was decided in two sets in which the Slovak doubles pair Patrik Perun-Ján Brutovský was always better, and who deservedly won at the end. The Czech representation had the last chance to win the gold medal in triples. Neighbors from Slovakia were waiting again for them in the final match. However, neither in the royal discipline, the team of the organizing country was able to keep up with excellently and uncompromisingly playing Slovaks. They thus completed the gold Sunday hat-trick. “Huge disappointment, any gold medal. We didn’t count on that,“ was heard from our team. They finally won two silver medals and one bronze medal.